After finding the ruins of a Mayan temple—and saving the world from a terrorist attack—in One Rough Man, Pike Logan has been given the chance to rejoin the Taskforce, a top secret counterterrorist organization that operates outside the bounds of US law. But before he becomes an operator again, he’s determined to get Jennifer Cahill into the Taskforce as well, though no one else seems willing to give a female civilian a shot. Jennifer herself would rather focus on setting up their new company, Grolier Recovery Services, an archaeological research agency that Pike hopes will also serve as a sophisticated cover for future Taskforce missions. When Grolier receives its first job offer to check out a site in Roswell, New Mexico, Jennifer convinces Pike to go. 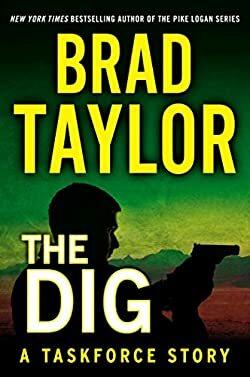 But once they arrive it’s clear that there’s a lot more going on than a simple search for Indian artifacts, and uncovering the secrets carefully guarded out in the desert could not only cost them their future with the Taskforce, but their very lives.